What lurks under plant pots? by Diane - April 11th, 2014. You should lift up your plant pots and have a look at what lurks underneath. What can you see here? 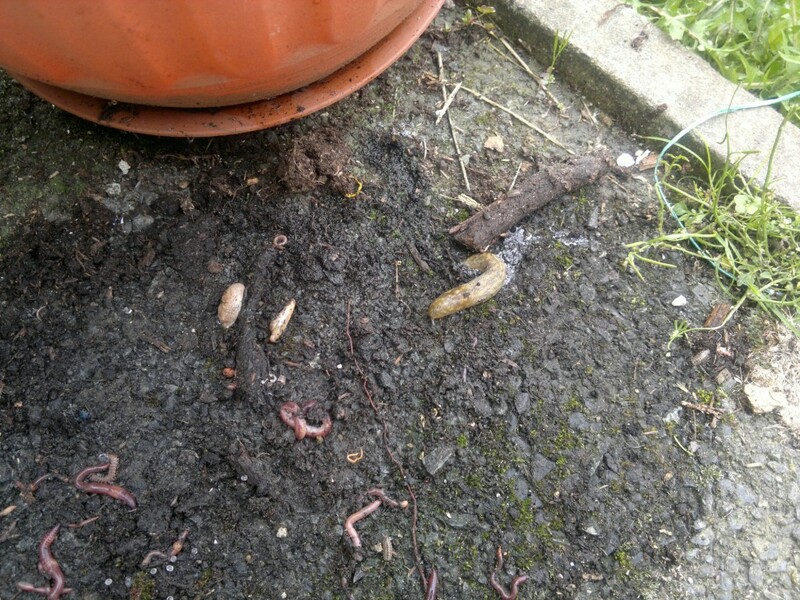 slugs, worms, woodlouse, and a millipede of some sort. The slugs need killing so they don’t come out later and eat the plants. It’s well worth a look under pots to see what bad pests are lurking.